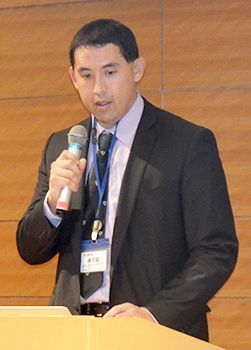 On February 20, Robert Kajiwara gave a speech at a rally in the Diet building. 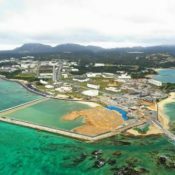 Robert Kajiawara is a fourth-generation Okinawan American singer-songwriter who created a petition addressed to the U.S. White House in hopes of halting the new base construction in Henoko of Nago City, Okinawa Prefecture. 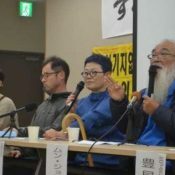 He criticized the lack of response both by the Japanese and American governments despite collecting 210,000 signatures. 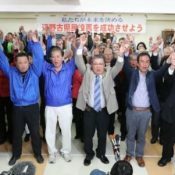 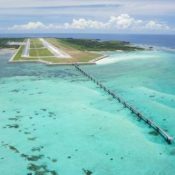 On February 24, a prefectural referendum was held asking Okinawan voters about their approval or disapproval of the land reclamation work as part of construction of the Futenma Replacement Facility (FRF) taking place on the shore portion of Camp Schwab. 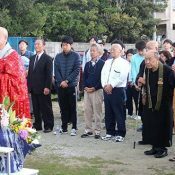 Motobu City, Feb. 16—A memorial ceremony was held for Koreans who lost their lives during World War II, ahead of their exhumation from their burial site in Kenken, Motobu City. 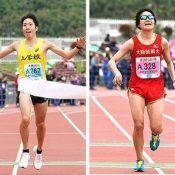 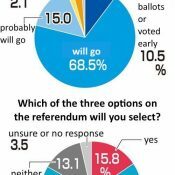 Over February 16 and 17 the Ryukyu Shimpo, the Okinawa Times, and Kyodo News jointly conducted a telephone public opinion poll of voters throughout Okinawa Prefecture.